Frances Aletha Crowell Cox, 87 of Indianapolis and formerly of Terre Haute, passed away at Heritage Oaks Assisted Living and Memory Care in Englewood, FL. She was born in Chattanooga, TN on July 21, 1931 to Hoyt Crowell and Mary Annette James Crowell. Frances’ family moved to Terre Haute when she was four years of age and she graduated from Indiana State Laboratory School in 1949. She worked as a bookkeeper and teller for Terre Haute First National Bank and was an administrative assistant for the Vigo County School Corporation for many years. As a youth, she was active in the former Locust Street Evangelical Church, and since 2004 was a member of Mt. Pleasant United Methodist Church. 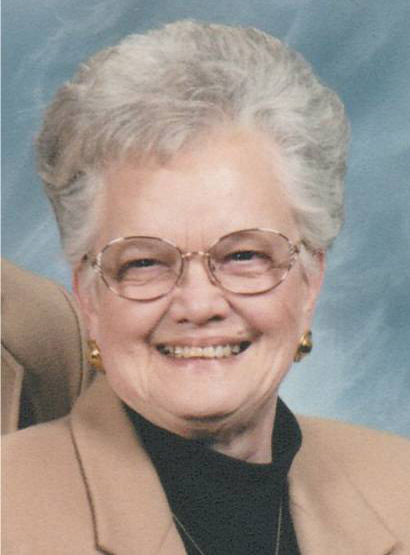 Frances liked to visit her sister in Monticello, FL and travel the country in the RV that she enjoyed with her husband. Funeral services will be held at Mt. Pleasant United Methodist Church on Tuesday, January 22, 2019 at 12 Noon, with Pastor Rick Swan officiating. Burial will follow at Rosehill Cemetery. Visitation is scheduled for Tuesday from 10:00 AM -12 Noon at the Mt Pleasant United Methodist Church. The family suggests that memorial contributions be made to the Mt. Pleasant United Methodist Church Building Fund, in her memory. Arrangements have been entrusted to Fitzpatrick Funeral Home, 220 North 3rd St., West Terre Haute, IN.